Get all your Lucky Numbers results sent to your phone via SMS! It's as easy sending a text message! Just SMS the keyword of the Lucky Numbers draw to 45294, and we will send you the result back! Learn how to use the new service below. Each SMS costs R1. T&Cs apply. Please wait for these time periods before requesting the result. For example, to get the SA Lotto draw result, SMS "SALOT" to 45294. Please note that each SMS to 45294 cost R1. There are no charges for the auto reply SMS. Remember, just send the keyword to 45294. Terms and Conditions apply as indicated below. 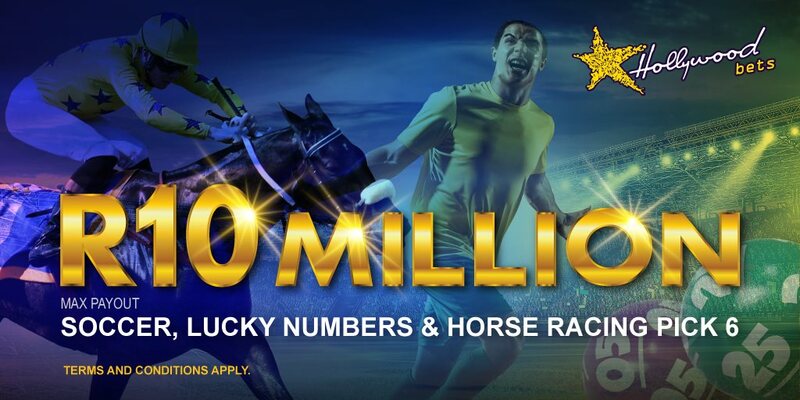 You can find results for all Lucky Numbers draws free of charge on the Hollywoodbets Mobisite, the Lucky Numbers Results Facebook page, and the Lucky Numbers Results Twitter feed. 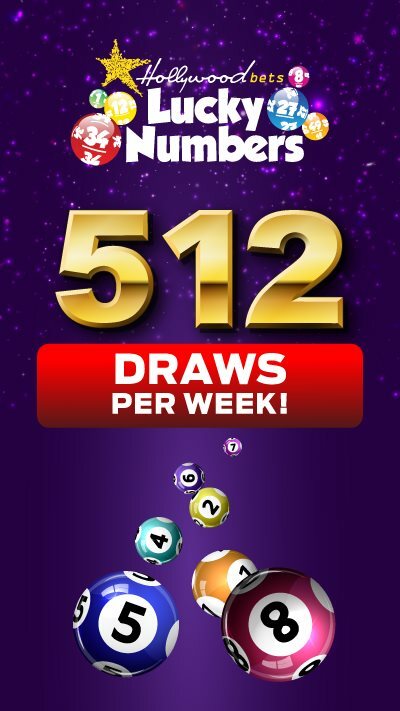 Lottery results keywords must be sent to 45294 to get the correct result. Only the following keywords will be accepted and will result in an auto reply: UKEVE, UKAFT, RUSMOR45, RUSEVE45, SALOT, SALOTP, SAPOW, SAPOWP. Cost of an SMS is R1.00 per SMS, free SMSs or bundles do not apply. Hollywoodbets will not be liable for any loss of funds or airtime due to SMSs being sent early, before the draw time or in between the live draw time and the specified update times below. 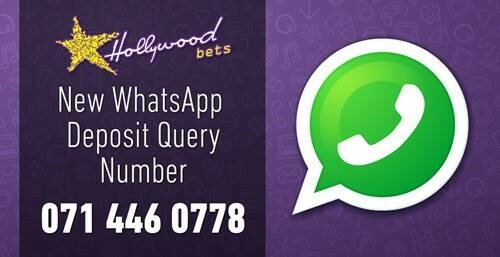 Hollywoodbets cannot be held liable for any costs or losses where incorrect codes are sent to the SMS line. To get updated results for the South African Lottery an SMS must be sent 10 minutes after the live draw is completed. To get updated results for international lottery games an SMS must be sent 15 minutes after the live draw is completed. International results are processed by third parties and Hollywoodbets cannot be held accountable for any delay in results being posted or any loss of funds or airtime due to their tardiness or resulting difficulties of whatsoever nature. 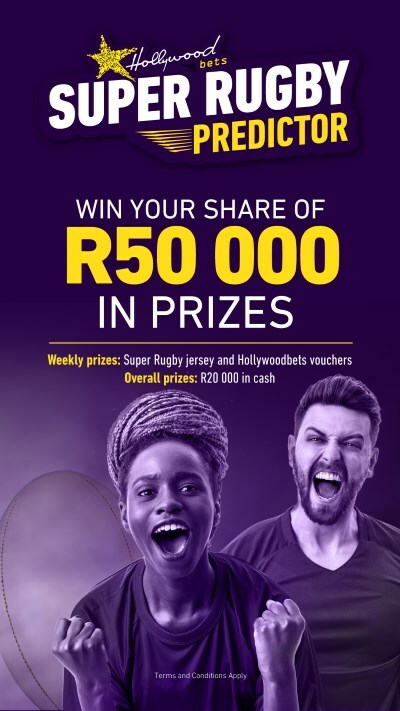 Hollywoodbets will endeavour to notify the public of any down-time or issues with the SMS lotto result service on its various online and mobile platforms. 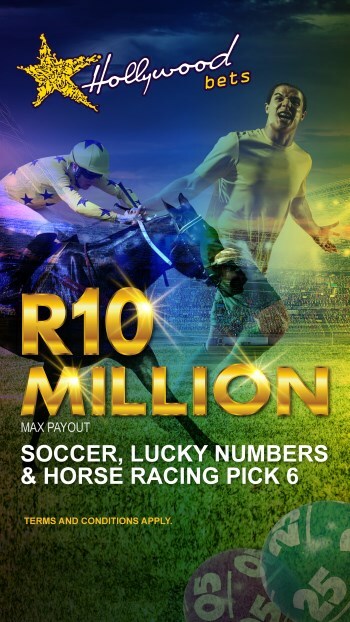 This SMS results service is for the exclusive use of Hollywoodbets customers and as such is available only to persons over the age of 18 years. By using this service the customer affirms and acknowledges that he/she is over the age of 18 years. 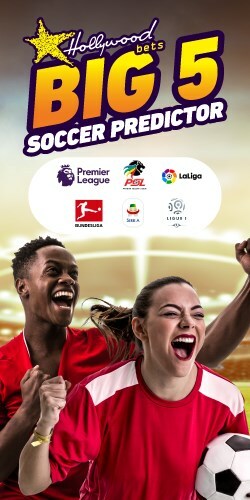 Customers using the SMS results service may receive future marketing information from Hollywoodbets and avow that he/she is over the age of 18 years and accepts that the company may send such marketing information to the cellphone used for the results service. Lottery results will be available for a specific draw, up until 2 hours before the next draw. Hollywoodbets makes no warranties or guarantees whatsoever regarding the correctness of the SMS results service and will not be held responsible for any loss or damage associated with the use of the SMS results service. No client details will be provided to any third party providers. All customers utilizing the service shall be deemed to have acknowledged and accepted the rules by virtue of their use thereof. Hollywoodbets reserves the right to temporarily or permanently disable this service at any time without cause or notice. Hollywoodbets reserves the right to change any of its terms and conditions at any time and without cause or notice.